I'm a huge fan of local businesses, which is part of the reason why I started my "things to do in Boston" series. I think it's important to support the people of your town, which led me to a brand new business here in The Bean called Follain. And let me tell you, this place changed my life. 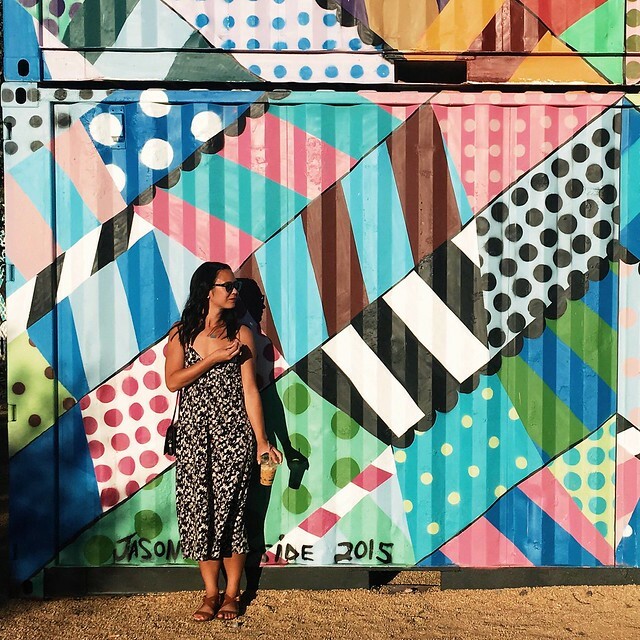 The concept is simple: Bring truly healthy, effective, and environmentally-friendly skincare products to people. 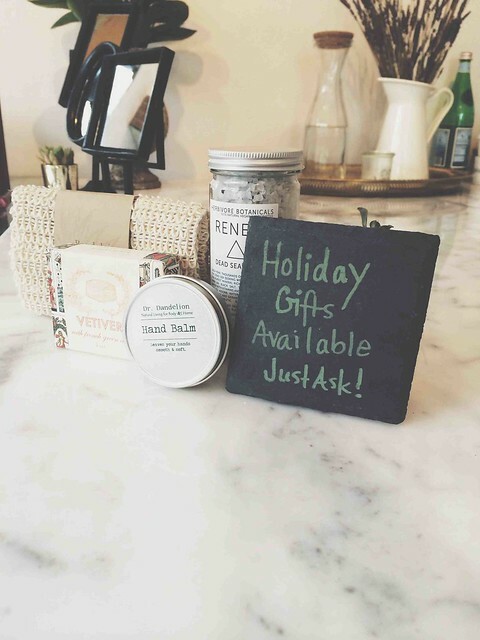 Owner Tara Foley prides herself on offering a wide variety of natural skincare products all made in the U.S., and the vast majority of them are local, meaning they're made within 150 miles of Follain. 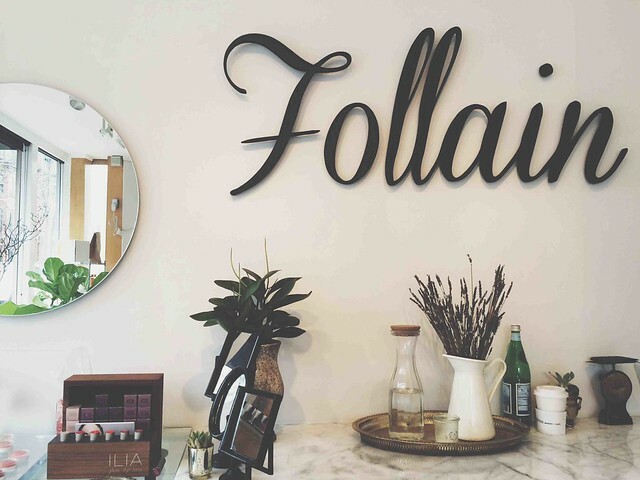 From makeup to face wash to moisturizer to hand and body soap, Follain has it all. It's a small shop, but it really provides everything you need. I picked up some goodies from S.W. Basics, which I'll do a full review on soon, but SPOILER ALERT it's totally changed my skin. 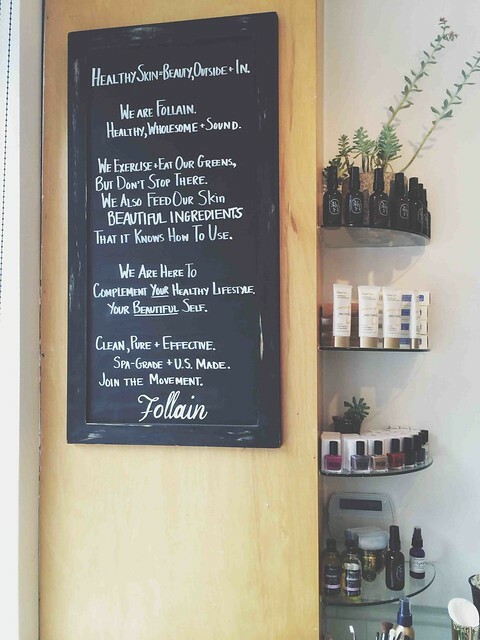 Follain also has a really amazing refill station for the ever-popular hand and body soap. You pay a deposit for a big bottle from Follain, but you can refill the bottle for an insanely inexpensive cost whenever you're out. No one be surprised if you get one of these for Christmas (lookin' at yooou family). So do yourself a favor and head down to Follain. If you love your skin, and you care a lot about what you put in your body (as in foodz), you should care a lot about what you put on your body. Follain will help you find what's right for you. I'm glad to hear the S.W. Basics kit is working for you. Part of me wants to pick it up as my travel skin care stuff for the holidays but another part of me doesn't want to mess with the routine I have going. You may still want to give it a try. My skin is super sensitive but this stuff has really worked some magic! I walk by here multiple times a week!! What has been keeping me from going in?! Sounds amazing. We've got so many great things in Boston! If you ever want someone to go with, let me know!! I want to get EVERYTHING there! !